There is a wide range of retirement options that businesses can provide to employees. However, depending on the size of the business, the benefits may vary as described below. Why Offer Retirement Options to Employees? In an ideal world, businesses and employees have a mutually beneficial, long-term relationship. Part of this includes the company helping employees plan and prepare for retirement. Therefore, offering retirement benefits to employees is an excellent way to increase employee satisfaction and reduce turnover. As a matter of fact, retirement benefits are one of the most persuasive points of a compensation package for recruiting potential employees. Retirement plans offer excellent commercial benefits, such as tax advantages and increased employee productivity. If the plan is based on profits, employees will be motivated to work safer, faster and more efficiently. 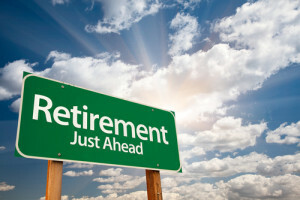 Retirement plan guidelines are set by the Internal Revenue Code and the Employee Retirement Income Security Act(ERISA). In brief, the employer is entitled to tax deductions for contributions, the income generated is not subject to income tax and beneficiaries receive special tax privileges. Plans must be permanent, well documented and communicated to all employees. The plan must have participation rules that set the minimum standard for the percentage of participating employees. Vesting rules must be established, which specific how many years of employment must be met before the employee can earn full benefits. Finally, every year the employer must distribute a Summary Plan Distribution that provides an overview of plan performance and other basic information. Simply put, the Savings Incentive Match Plan for Employees (SIMPLE) IRA is a great option for businesses with fewer than 100 employees. The SIMPLE IRA is very easy and affordable to set up. In fact, business owners can simply download IRS forms and provide to employees. There are generally no maintenance fees because there is no official plan administrator. If there are any associated costs, the business owner may be able to write them off as a business expense. However, there are certain disadvantages, such as steep penalties for employees who withdraw early and mandatory contributions from employers. Similar to the SIMPLE IRA, a Simplified Employee Pension (SEP) is easy and inexpensive to set up. However, employers are required to make contributions, but employees are not. As an added benefit, contributions to an employee’s SEP IRA do not affect their ability to contribute to another IRA. In fact, an employee can have a SEP IRA with one employer and an IRA with another employer. Even better, a SEP IRA can be terminated at any time. However, even though contributions can be deducted from salaries, employers contribute most to SEP IRAs. Lastly, a SEP IRA can become expensive because all employees must be included in the plan. Solo 401(k)s are one of the most popular retirement options that businesses can provide to employees. This is because there are both exclusive and flexible contribution options. For example, contribution amounts can be adjusted according to current business success. Any contributions to a 401(k) are deductible business expenses. Still, 401(k)s may require administration fees and required reports to the IRS. In the end, 401(k)s are one of the most popular retirement options for businesses. In retrospection, retirement plans offer excellent benefits to both the employees and employer. The IRS offers information about retirement options that businesses can provide to employees.